In this special episode we talk to Caroline McAlister, professor of English at Guilford College and author of John Ronald’s Dragons: The Story of J. R. R. Tolkien, a children’s book that imagines a young Tolkien exploring his interests in trees, horses, strange-sounding words, “but most of all … dragons.” Caroline explains her thoughts on reading during childhood—both fiction and non-fiction—and her own reasons for writing about a young Tolkien. 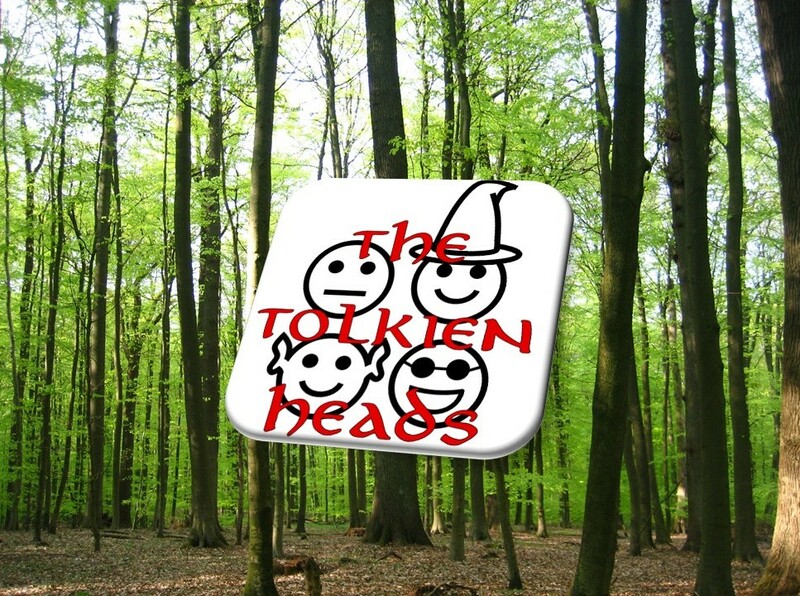 Besides her book itself, we also talk discuss what it is like to teach a college-level English course, and how to incorporate Tolkien’s works into the curriculum. You can learn more about Caroline McAlister and her books at her personal website, carolinemcalisterauthor.com. This special episode features the Dwarrow Scholar, an expert on all things Dwarvish. We discuss Tolkien’s Dwarves—their culture, their history, and their language—as well as the similar creatures of Germanic myth upon which the Middle-Earth race is based. The Dwarrow Scholar also walks us through some of the innovations and expansions he has made on Tolkien’s Dwarvish language, Khuzdûl. Information on Neo-Khuzdûl and many related matters can be found on his website, www.dwarrowscholar.com. Deutsche Mythologie (Teutonic Mythologie), Jakob Grimm, trans. Stallybrass—a treatise on Germanic mythology. It is generally thought to have been a minstrel poem that was passed down through the centuries by word of mouth. The catalog of the Dwarves that begins in the 10th stanza is an important source of names for the Dwarf characters in Tolkien’s works. The Dwarrow Scholar personally recommends the 1908 edition by Olive Bray, as it has extensive notes and a very detailed and valuable introduction (especially for people new to the Edda, well worth the read). It is worth noting, though, that the 1986 translation by Lee M. Hollander comes closer to conveying the full extent of the grandeur and nuance (both aesthetic and philosophical) of the Old Norse texts. The Viking Spirit: An Introduction to Norse Mythology and Religion, Daniel McCoy—written to a scholarly audience, but in a simple, clear, and entertaining style. Gods and Myths of Northern Europe, H. R. Ellis Davidson—she was one of the twentieth century’s foremost scholars of Norse mythology, yet most of her works were written for a general audience rather than her fellow academics. This is her most accessible work, and is ideal for beginners who want a scholarly take on Norse religion. Unfinished Tales of Númenor and Middle-earth, J. R. R. Tolkien, ed. Christopher Tolkien—“The Quest of Erebor” sheds a somewhat new Dwarvish perspective on The Hobbit that should not be missed.